Online ticket marketplace Viagogo are currently being investigated by National Trading Standards (NSA) over “misleading” ticket pricing, and may face prosecution. They have been referred to the NSA by The Advertising Standards Authority (ASA) for failing to change misleading pricing information on its website. The ASA had previously warned Viagogo that it was “breaking UK advertising rules”, and are now taking action because of their “inability to get its house in order” by its May 26th deadline. They said it had been made clear to the secondary ticket website that if the changes were not made, they would consider referring them to the NSA “for consideration of statutory sanctions which can involve prosecution and fines”. Viagogo, and other ticket exchange sites such as Stubhub, Seatwave and GetMeIn, were subjected to ASA action in March after a crackdown on “dip pricing”, which is when VAT, booking and delivery fees are added to the end of the booking process, rather than included all together in one price. So, always double check when you book so-called “cheap” tickets, as extra fees may just sneak up on you. The ASA received 23 complaints about Viagogo, which was contacted by The Committee of Advertising Practice (CAP) for assurances that the company would correct their website. Among those who complained to the ASA about the Geneva-based company, were FanFair Alliance (which campaigns against secondary ticketing), music promoters Festival Republic and Ed Sheeran’s promotion company, Kilimanjaro Live. Ed Sheeran himself recently invalidated tickets to his gigs purchased on secondary ticket websites, and asked fans to buy tickets at face value instead. Also adopting the same policy as singer Adele, and rock band Arctic Monkeys. Stuart Galbraith from Kilimanjaro Live said he negotiated with StubHub, SeatWave and GetMeIn to ensure they would not resell tickets for Ed Sheeran’s tour. However, it was Viagogo that went against his wishes and continued to sell the secondary tickets. 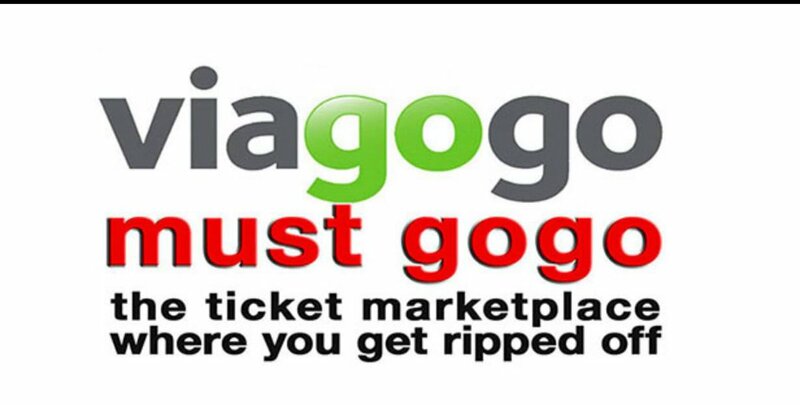 Viagogo has not commented on the investigation after being reprimanded. Has anyone bought from them before, or know of anyone who has? If so, what was your experience with Viagogo? Let us know in the comments section below.